This solution is designed to save time on paperwork for the maintenance module of accreditation, WA or NHVAS. 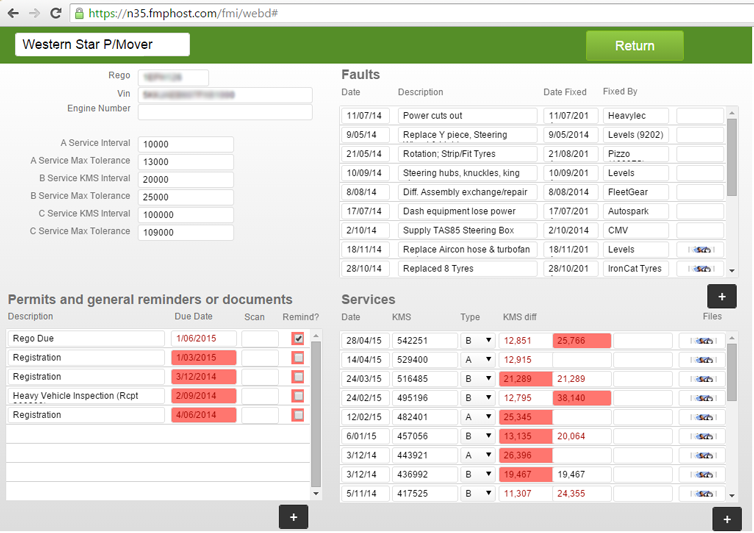 A mobile application allows you to enter maintenance and faults, and take photos of maintenance invoices and service sheets and enter KMS of services as it happens. 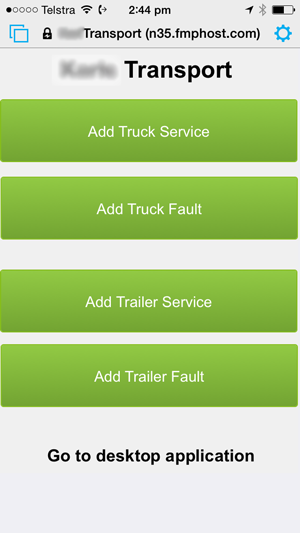 Your drivers on the road can log faults, and take photos of faults and log paperwork on the road. Remember, a picture paints 1,000 words! Sometimes more than 1,000 words when attempting to describe a fault, damage, or an incident! A desktop application (also viewable on the mobile) will then show service intervals, maintenance history, and accreditation reports to assist you with your accreditation audit. You will also receive automatic reminders as to when key events such as registration, inspections or permits are due and can quickly view the current status of your maintenance and outstanding faults. Contact me to start trailing this now for free. Customisation available. Designed to manage your entire transport business. This solution will schedule freight, invoice, perform automatic debt collection, provide reports for WA, and NHVAS maintenance and Fatigue modules, raise warnings and automatic reminders, and much more. This software will provide positive ROI to your business and remove many of your pain points in managing freight, assets and payroll. The solution is fully customisable to your business and comes with 24/7 support. Unique to this software is deep integration with national permits for oversize and overmass transport, as well as quoting assistance for odd sized loads. Call me now on the phone number above, or write a brief enquiry below.